Inge Morath was a gifted photographer who could not resist infusing a touch of surrealism into her photographs. This playful element lifted her work above mere reportage by revealing the mysterious at work within the ordinary and the everyday. 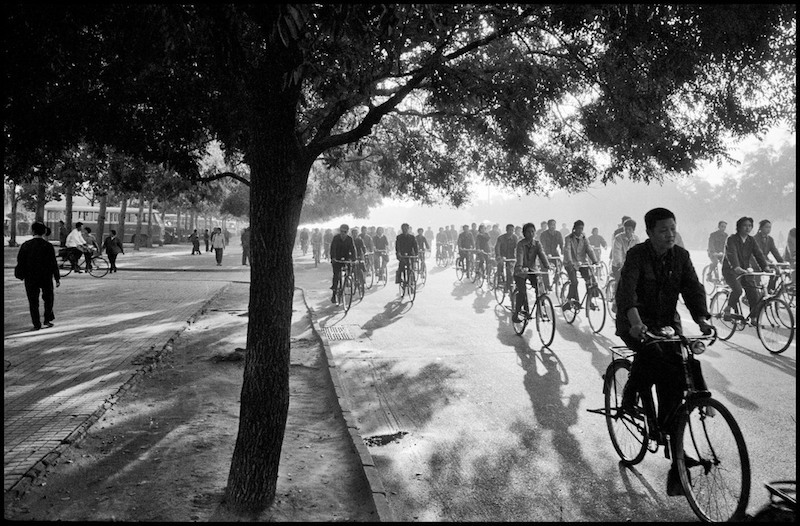 But there is a deeper thread that runs through Morath’s work, especially her larger projects, such as her photographs from Spain, the Middle East, Russia, or China, where, over a period of many years, she documented the clash between tradition and modernity. There is so much of my life in the faces in [these photographs]. If I had not looked into some of them my life would not have been the same. Quite a few of the faces I have known had to be left out of this collection and I do miss them. I asked to photograph these people because there was meaning for me in each of their persons, a feeling of closeness or admiration, a curiosity about them and their work, about how they carried their beauty or their fame, their isolation, their aging, their knowledge – in short, about how they faced the world. Most of these photographs were taken on my own initiative. Occasionally this initiative was transformed into a gratefully accepted assignment by my having aroused the interest of an editor with the same inclinations. I like to go alone to these photographic meetings. A one-to-one meeting gives me the excitement of a first encounter, undiluted. In the ritual of getting acquainted, both people work harder at being seen as they wish to be seen, almost as one makes the critical assessment of oneself in a mirror, alone. At times the company of a friend helps to overcome some initial shyness. But the presence of lovers, wives, husbands, children often provokes a protective reaction in the subject. In reacting to more than one pair of eyes, to more than one relationship, a veil is drawn rather than lifted. Sometimes a familiar face seen in a new light is rediscovered. I delight in these encounters. From Portraits. Photographs by Inge Morath. Aperture: New York, 1986. I wanted to photograph the Silk Road, to follow Marco Polo’s traces to China. I thought it would be a good idea to start in Iran. So, I told Holiday Magazine that I would like to photograph Iran; that was in 1956. I was also very interested in the region, in old civilizations which are suddenly overbalanced by modern times. Iran was a country where they had started to build factories, but a lot was still medieval. In time for New York’s annual Flamenco Festival, which starts on Thursday, an exhibition has just opened, split between two places. 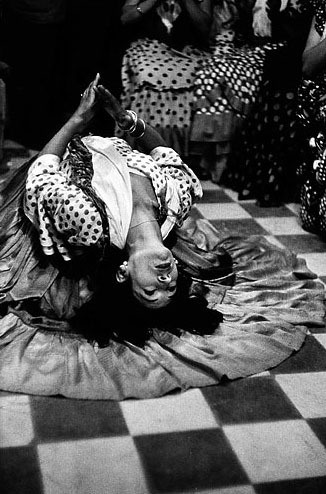 It shows flamenco in photographs, some of them dating to the 19th century. There is little to distinguish tone and content between the show at the Aperture Gallery in Chelsea and that at the Amster Yard Gallery at Instituto Cervantes in Turtle Bay; it’s best to see them in quick succession. The overall title is “No Singing Allowed: Flamenco and Photography” (although, when I visited the Aperture Gallery, some old flamenco recordings could be heard in the background — I thought I recognized the voice of La Niña de los Peines, the most enthralling of all flamenco singers on record). The curator is José Lebrero. Interview with Azar Nafisi by John P. Jacob. 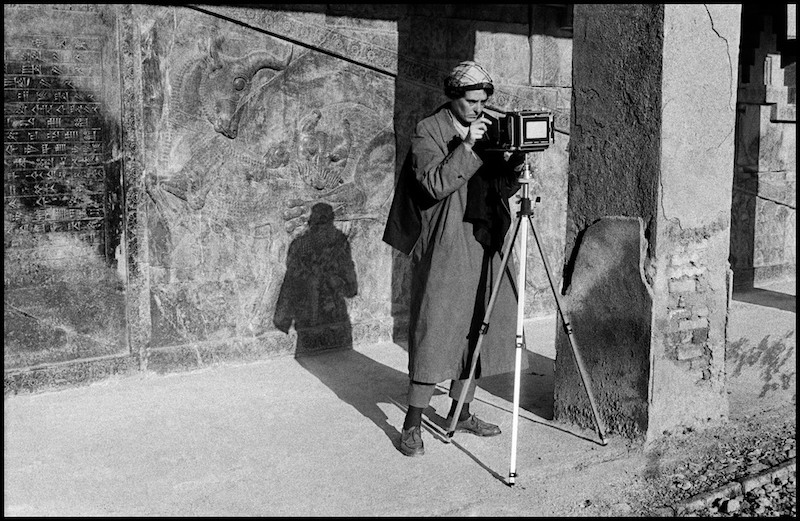 From Inge Morath: Iran, Göttingen: Steidl, 2009. Please also view the slideshow. As an Iranian born writer on literature, who is also deeply interested in the role of women within civic society, I invited Azar Nafisi to comment on Inge Morath’s photographs of Iran from a variety of perspectives; historical as well as political, personal as well as cultural. As an writer and social critic, Nafisi shares with Morath a common set of intellectual concerns. Both are motivated by the larger historical movements of the 20th century, and both approach the study of the cultures that have been transformed by such movements through their creative output, particularly their literature and poetry. 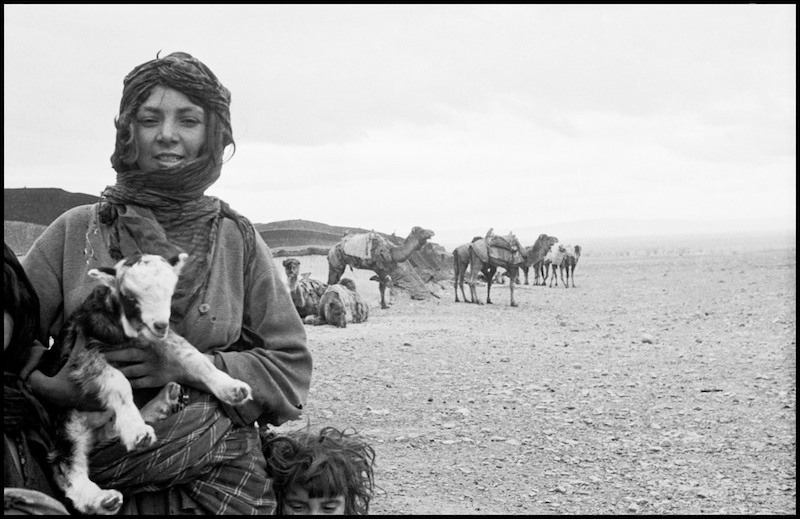 In approaching Morath’s photographs, I asked Nafisi to consider, on the one hand, how Morath might have prepared for her visit to Iran, and what impact a consciousness largely shaped by its literature might have on the photographs she made there. On the other hand, I asked her to imagine a contemporary, non-Iranian viewer of Morath’s images, whose knowledge of Nafisi’s homeland has been shaped in large part through the media coverage, much of it photographic, of recent political events in Iran. Balancing these, during our conversation, in Washington, DC on October 27th, 2008, Nafisi provided both an objective context for encountering Morath’s photographs and a sincerely personal response to them. Introduction by John P. Jacob, Inge Morath Foundation, for the exhibition Inge Morath and Arthur Miller: China, University of Michigan Art Museum, Ann Arbor, 2008. Please also see the slideshow.